Available in: Paperback, 600 pages; photos and index. Also in hardcover, and eBook and in Audio. A richly researched, gripping narrative about war, suffering, survival, corruption, injustice and morality. Useful Enemies is a remarkable and riveting account of how good people in a great nation can do very bad things and fail to do good things. This is a terrifying account of the triumph of injustice in the false name of pragmatism and in the immoral service of bigotry. . . .essential reading for anyone interested in understanding a difficult chapter in American history. WWII isn’t over for everyone—in May 2011, John Demjanjuk, a native of Ukraine and “former American citizen,” was convicted of war crimes for his role as a guard at the Sobibor concentration camp. Rashke (Escape from Sobibor) uses Demjanjuk’s story to explore the troubling implications of U.S. immigration patterns after WWII; the author contends that the United States knowingly accepted Nazis while simultaneously denying entry to Holocaust survivors, a trend motivated by a political agenda concerned with monitoring Europe in the postwar period and during the cold war. As evidenced by the particulars of Demjanjuk’s case—which included numerous trials in various countries, possibly forged identity papers, and extradition deadlock—the narrative is riddled with political intrigue. While the immediate ethical and political ramifications of his argument are fascinating, one of the most interesting aspects of Rashke’s investigation is how it complicates the idea of a survivor: was Demjanjuk, who lived a quiet life in Cleveland following the war, also a survivor of the Nazis, different from the men and women whose killings he oversaw only by degree? The answer, as Rashke points out, requires untangling ‘historical forces, moral behaviors, legal issues,’ and more, and it’s a riveting read. As I sat in the courtroom in Munich during the trial of John Demjanjuk, I wondered why it took so long to find and try him. Mr. Rashke’s book answers the question. Useful Enemies is amazing. A revealing insight into how America dealt with Nazi war criminals and their World War II collaborators. Even though I attended and reported on the entire trial of John Demjanjuk in Munich, I gained valuable knowledge from Mr. Rashke’s detailed and brilliant research. His conclusions are totally convincing. Despite the grim topic, Useful Enemies is fascinating reading. After World War II, why did the United States admit many high-level ex-Nazis for a variety of purposes (the space program, anti-Soviet espionage) but relentlessly pursue prison guard John Demjanjuk? Rashke (Trust Me, 2001, etc.) follows the bizarre, jagged trajectory of the various trials of Demjanjuk, a retired autoworker from Cleveland whose tangled experiences in the war sent him from courtrooms and jails in Ohio to Tel Aviv to Munich, sites where he was variously accused of being the heinous Ivan the Terrible of Treblinka (a charge ultimately dropped) to serving as a guard at the Sobibor death camp, a charge of which he was ultimately convicted when he was 90 and dying. But Rashke, whose research is prodigious, has a much busier agenda than just the Demjanjuk case. 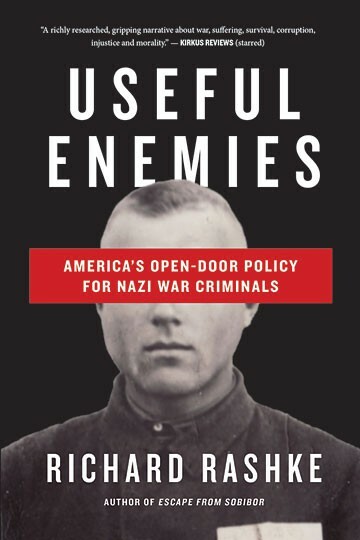 He also describes the numerous other cases of ex-Nazis brought to America, many quietly under the aegis of the FBI, the State Department or the CIA, war criminals (in many cases) who escaped prosecution because of their usefulness in the U.S. Some were high profile (rocket scientist Werner von Braun at NASA); others flew totally below the radar until Soviet and American archives opened decades later. Throughout, Rashke raises moral questions (is it conscionable to employ ex-Nazis?) and draws distinctions (what’s the difference between working for and working with an occupying force?). His accounts of Demjanjuk’s various legal proceedings are swift but also enriched by much relevant quoted testimony. The author also explores the profound passions of all involved—from the families of those whose relatives suffered and died in the camps to the Demjanjuk family and their Ukrainian-American neighbors who never believed the accusations. A richly researched, gripping narrative about war, suffering, survival, corruption, injustice and morality. After WWII, American officials, in a cynical exercise in unprincipled expediency, welcomed former Nazis and known eastern European collaborators to our shores. Rashke recounts how the extraordinary efforts of a handful of implacable lawyers like Rep. Elizabeth Holtzman and Justice Department prosecutor Eli Rosenbaum brought some measure of accountability to a sorry chapter in American history. 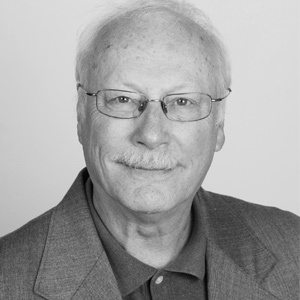 RICHARD RASHKE is a lecturer and author of non-fiction books including The Killing of Karen Silkwood. He is featured in the award-winning international television series Nazi Hunters. His works have been translated into eleven languages and have been the subject of movies for screen and television. A produced screenwriter and playwright, his work has appeared on network television and off-Broadway. He is also an alto sax player and composer. His latest composition, Crane Wife, a family musical based on a Japanese folktale, was performed at the Kennedy Center, and his play, Dear Esther, based on a Sobibor prisoner, was the first play performed at the United States Holocaust Museum. He lives in Washington, D.C.